Q: For Indianapolis residents: When is the least expensive tooth replacement method really the most expensive? Many Fishers cosmetic dentistry clients who lose a tooth do not understand the importance of replacing it with a dental implant. They wrongly believe that one missing tooth is not a significant problem. In fact, some Fishers people who have an abscessed tooth extracted are so glad the pain is gone that they forget that the extraction is not the solution. When a tooth is lost, the risk of losing the adjacent teeth increases dramatically. 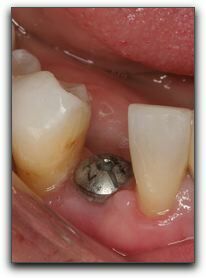 If you are missing a tooth, you may still be able to save the adjacent teeth if you receive an implant soon. An implant bonds chemically with the jaw bone and helps maintain its stability. To schedule a dental implant consultation, call Dental Care Today PC at 317-842-2337. 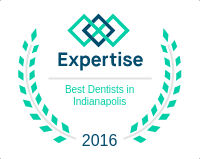 In addition to cosmetic dentistry, we provide comprehensive family dentistry for families in the Indianapolis, Indiana area.